Tora-san happens to know Kojima, a hardworking man of a stock exchange company. One night they go drinking. And Tora-san gets drunk at Kojima's home. There, he becomes enchanted by Kojima's lovely wife Fujiko. One day Tora-san learns that Kojima is missing. 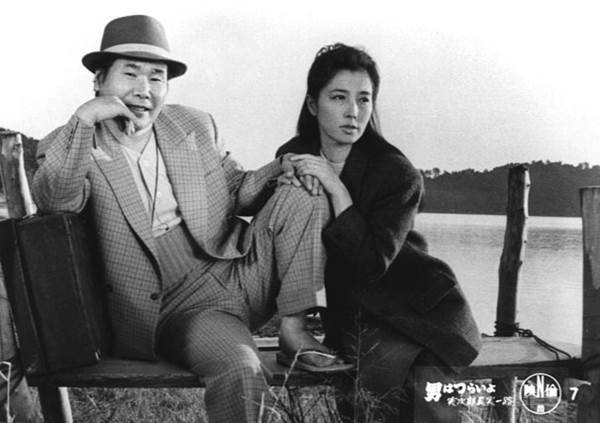 He and Fujiko set out on a trip in search of Kojima. Althought unable to find him, Tora-san enjoys his journey with Fujiko immensely. Kojima who went away to escape from his inhuman life finally returns home. While watching Fujiko happily welcoming her husband, Tora-san realizes his hope for love has been dashed again.